VANCOUVER, B.C. 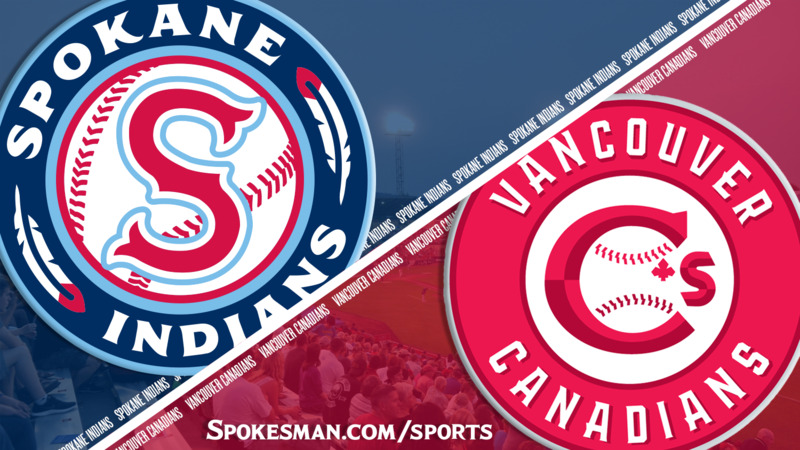 – The Spokane Indians are still looking for their first road win of the season after coming up just short in a 5-4 loss to the Vancouver Canadians on Sunday. The Indians are 0-10 on the road this season. The Vancouver Canadians scored five runs over the first 2 1/3 innings against starter Scott Engler (2-1). The Indians were held scoreless until Jonah McReynolds hit a two-run home run in the sixth inning. The homer was the second for McReynolds in 260 career minor-league at-bats over three seasons and his first with the Indians. Trailing 5-2 in the ninth, McReynolds stroked a single and Tanner Gardner hit a double before Cristian Inoa delivered a two-out, two-run single for the Indians. Inoa moved to second on a single to left by Austin O’Banion but pinch hitter Curtis Terry struck out to end the game. After Engler’s rough start, three Indians relievers – David Lebron, Kyle Keith and Francisco Villegas – held the Canadians scoreless on three hits. McReynolds and Gardner each had two hits with the Indians finishing with seven. Spokane will seek to end its road drought and a three-game losing streak when it takes on Vancouver in the series finale tonight. Published: July 8, 2018, 5:02 p.m. Updated: July 9, 2018, 3:29 p.m.